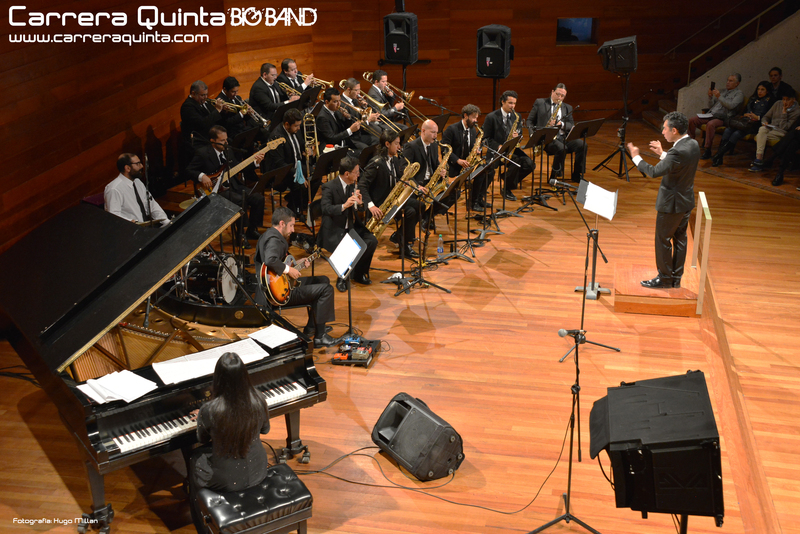 Carrera Quinta, created by colombian composers Javier Pérez Sandoval and Francy Montalvo, presents its new record: Carrera Quinta Big Band. 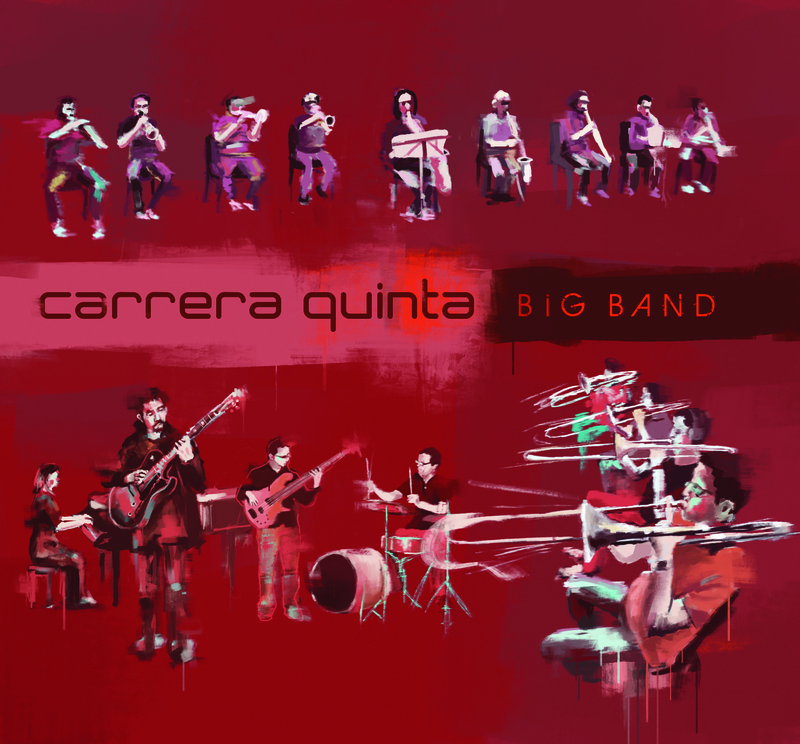 In 2015 Carrera Quinta decided to come back to the studio and record a new album with a Big Band. Conducted by Colombian Director Ricardo Jaramillo and Recorded by the Latin Grammy award winner engineer Mauricio Cano, the 19 piece Band went to the studio and recorded something unique and special in Colombian music history. The album features compositions awarded in 2013 by Bogotá´s department of Arts, Idartes, and one piece commissioned by Bogotá´s Jazz Festival, Jazz al Parque, in 2014. The band style blends Colombian traditional music from the Andean region with Jazz arranging techniques, creating a new sound, something unique, intense and powerful. The album was financed with a crowdfunding campaign. The mixing was made in Bogota, Colombia and the mastering in sterling Sound Studios in NYC by Randy Merrill. Recently Randy has worked in recordings like Darcy James´s Secret society Big Band, Miguel Zenon´s last Big Band Album, Steve Cardenas, Ben Allison, the Cohen Brothers, among others. Most of the music featured on the album was composed between 2012 and 2013 in Louisville, KY, where Javier Pérez Sandoval studied his masters degree in Jazz Composition with Big Band arranging legend John La Barbera. The cover art desing was made by Colombian designer and ilustrator Ricardo Zokos. sokoslab.